Well, when I started treatment in January, I was hoping that at this point things would be winding down. It has been obvious to me for a while that wasn’t going to the be the case but I am feeling rather discouraged at the turn of events. It is helpful to read back through my earlier notes to put things in perspective that I had been feeling a lot worse than I do right now. But here’s the thing, I am starting to wonder if I am going to be among the 20% of people who are not going to beat this thing. I don’t want to think that way because it is not going to help matters much. I need to use the power of the mind for good, right? With weeks of struggle with nausea and finding the right balance of things and now knowing that the most recent antibiotics were beating the crap out of my immune system it started to become clear that I am probably not a good candidate for aggressive treatment so it did not surprise me to hear my doc say just that. The disturbing part is during the time we had cut back to just one antibiotic, my symptoms (pain in knees, burning in fingers & toes and night sweats) started to increase again. I’m not excited to hear that two possible reasons for the white noise in my head are liver toxicity or neurological damage. When cleaning some things out I came across the original visit to Barrington Readicare last June 19th when the Lyme was first diagnosed and the inadequate treatment of 2 weeks on Amoxicillian was prescribed. I try not to be angry about the mishandling of my care given that she was only carrying out one accepted standard of treatment. However, she had my fate in her hands that if she had the proper knowledge, then the months of suffering and expense that I have endured could have been completely prevented. I feel a responsibility at some point to communicate with the Frisbee docs – how can they know that the treatment failed and how can she/they consider providing alternative care if they don’t hear the feedback? One exciting thing – I went out for fried oysters for dinner – my first gluten cheat on my Lyme diet since January. Let’s see how it goes. Let’s rename this – Journey to Health (from Words on Lyme). And let’s agree that Lyme is a speedbump on the way. Afterall, what brought me to my ND’s office was the desire to improve my health not the desire to live with a chronic disease so let’s assume that it will be a period of decreasing illness/improving wellness and not a chronic disease. Agreed? So what have the benefits of this been so far? Discovering new patterns of eating and new knowledge about food that was greatly accelerated by the desire to beat Lyme. Nothing like a threat to incentivize compliance and learning! Blood sugar well into the bounds of normal after 10 years of borderline diabetic/metabolic syndrome. A huge accomplishment! Weight back to pre-children level. I never thought I would see that again with the 15 year struggle to not gain weight and being on the high end of “normal”/low end of “overweight” during most of that time. It has been difficult to trust and embrace that this weight-loss might be a sign of improved overall health. At times the rate of loss has felt as equally out of control as times when my weight-gain felt out of my control during the periods when my thyroid was most out of balance. It just feels weird – not me. I am working on embracing that this just might be the new healthier me! A reminder (hit up-side the head truth-be-told) that I am not superwoman, have never been superwoman and should never try to BE superwoman. This is a tough lesson for me that I really need to pay attention to. Maybe this is the reason for the Lyme – though I have learned this lesson before and have made strides forward, I can be tempted/pressured/guilted into bad behavior. I need to give myself permission to not ever be superwoman, that my normal self is more than good enough. Learning to be comfortable with being uprooted – that being uprooted is necessary to have the freedom to move to the next place that I am meant to be – even if I don’t know what that is yet. Learning to trust the journey. I do believe that I am exactly where I am meant to be. It was the path of following my gut that brought me to my ND’s door in the first place. 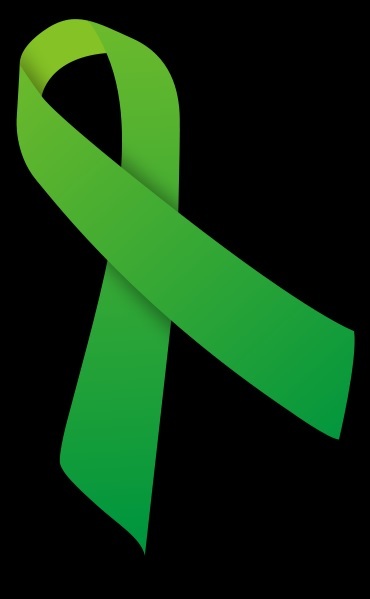 If I had not followed my instincts, instead of being 5 months down the path to wellness and healing from Lyme I would likely be 5 months down the path of increased sickness and confusion about the reason why. Just found your blog. I was diagnosed last year after about 4.5 years of screaming “classic” symptoms of lyme that no doctor could seem to figure out. Now with a lyme specialist I was doing pulse therapy treatment for about 6-8 months will only minimal improvement when I was diagnosed with breast cancer and all lyme treatment was put on hold. I’m two weeks out of surgery so hope to get back to therapy soon. I also have gluten sensitivity so am on a gluten free diet as well. I look forward to reading your blog. Sending you positive strength and thoughts. I have found with lyme that the symptoms sloooooowly creep away. It took me almost 3 years of treatment and it was very discouraging at times, but I am feeling fantastic now. Hang in there, you will get there. Thanks for sharing your positive story of healing! That is so good to hear. I have had lyme for 30 years.. and just got diagnosed july 2012.. how can that be true? I wonder.. I am amazed my body has not given up I am certain my brain did.. as I would lay in bed ,, begging God to either take away my pain.. or let me come home. Been on doxy 28 days.. I am having some of the first pain free days in a very long time. But I wonder what will happen now ? Will my doctor continue to help me . OR just tell me there is no cure. ? It is 1 am.. cant sleep.. found your site while on healing well lyme group..
Do hope your doctor can get you well.. If ya need somebody to talk to on your sleepless night.. best of luck Dear..